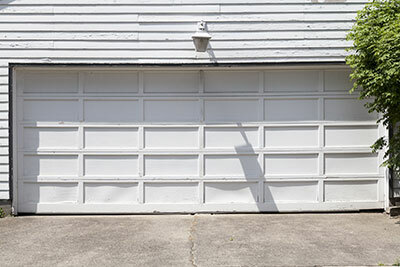 Selecting the best option can be overwhelming for first time buyers of garage doors. This is because there are several choices available in the market. If you find yourself in this kind of situation, this guide would help you select the right door best suited for your needs. There are various factors to consider when choosing a door and we’ll get to them one by one. Everyone has a budget that they need to work with. Know what you’re willing to spend so you don't go over the range of what you can afford. Once you have decided on a budget, consider the things that you would like to have for your door. First is the material. These doors are made from different materials, including steel, aluminum, wood, and glass. Steel is the most popular due to its durability and cost effectiveness. However, it’s prone to rusting and quite heavy. Aluminum dents easily but is lightweight. Wood requires a lot of maintenance, but it looks great on any home. Glass gives that modern feel, however it’s the most expensive and it’s fragile. You should also consider the type of entry you prefer. Many homeowners have overhead doors, which rise up parallel to the ceiling when opened. This saves space, especially for small garages. Another option is roll-up. Roll-up doors are made of several panels that coil to the ceiling when the door is opened. Another option is the sliding door. As the term suggests, it slides on one side. Swing doors on the other hand are like regular doors that swing forward when opened. You should also think over if you wish to have an automatic door installed or a manual. A door opener is needed for an automatic door.